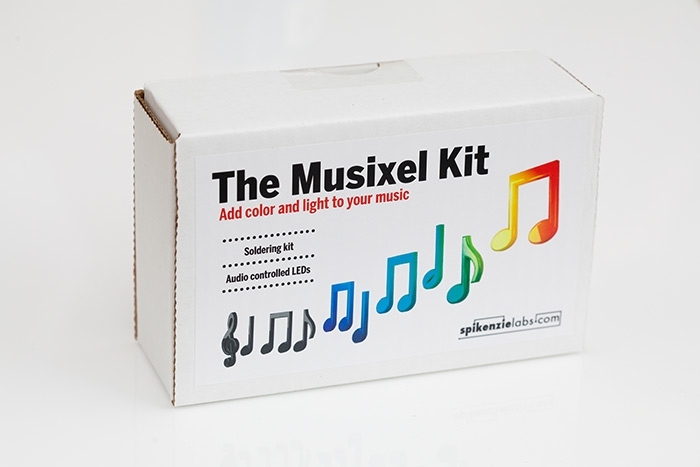 The Musixel adds color to your music. 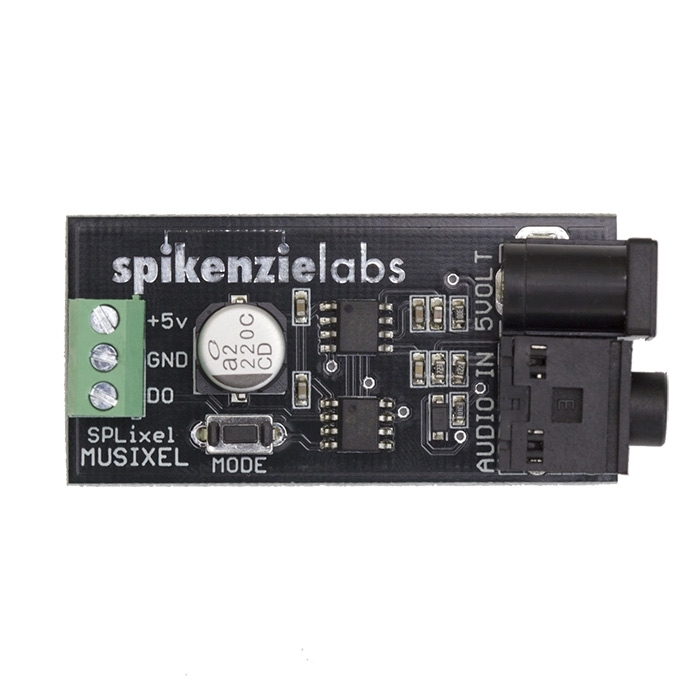 Attach it to your music source (MP3 player, phone, computer, stereo etc…) and the Musixel will convert the frequencies that it hears into colors. 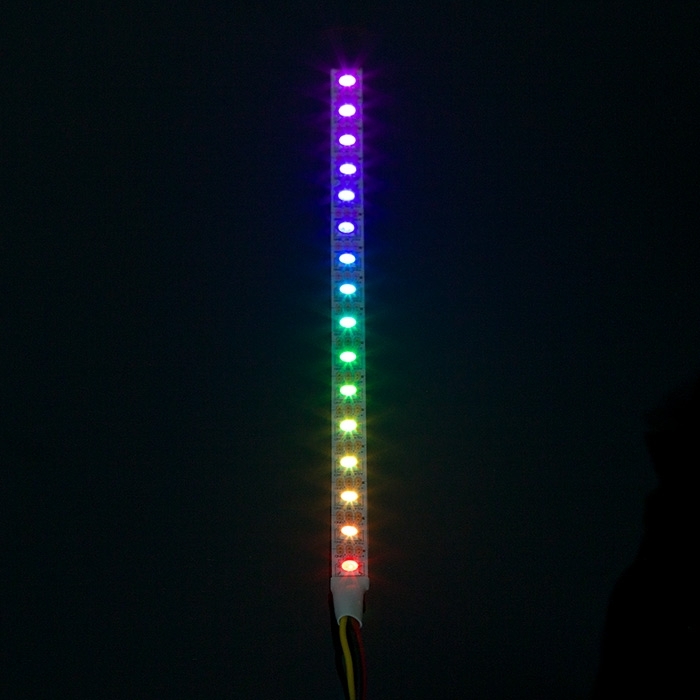 There are nine different colorful modes for the LEDs to display. The colors vary by frequency and volume. 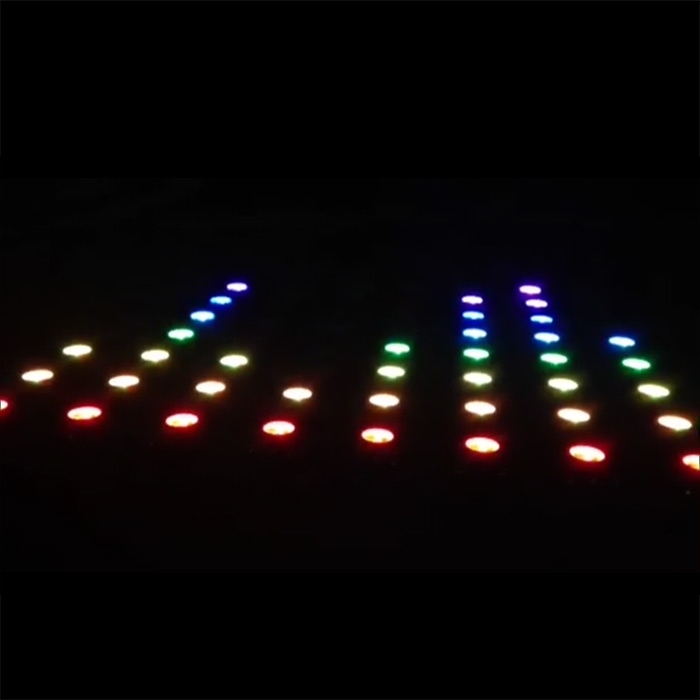 Some modes display traditional style graphic equalizer bars, some pump all LEDs colorfully at the same time and others display a full rainbow of colors. There is a mode for everyone! The Musixel works with all types of music. In most modes it converts frequencies into colors where the low notes 63 to 160hz are red, mid notes 1000 to 2500hz are green and high notes 6250 to 16000hz are blues. When the Musixel hears multiple frequencies at the same time it mixes the primary colors into a huge variety of colors. The louder the music, the brighter the LEDs. Simple to assemble and easy to hook-up. 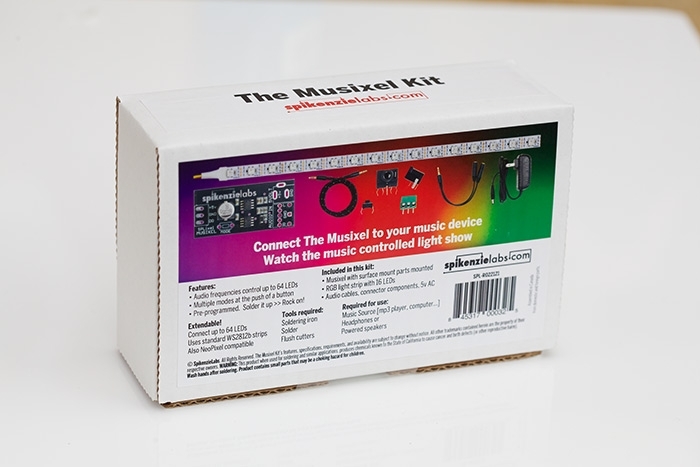 This version of the Musixel requires soldering. 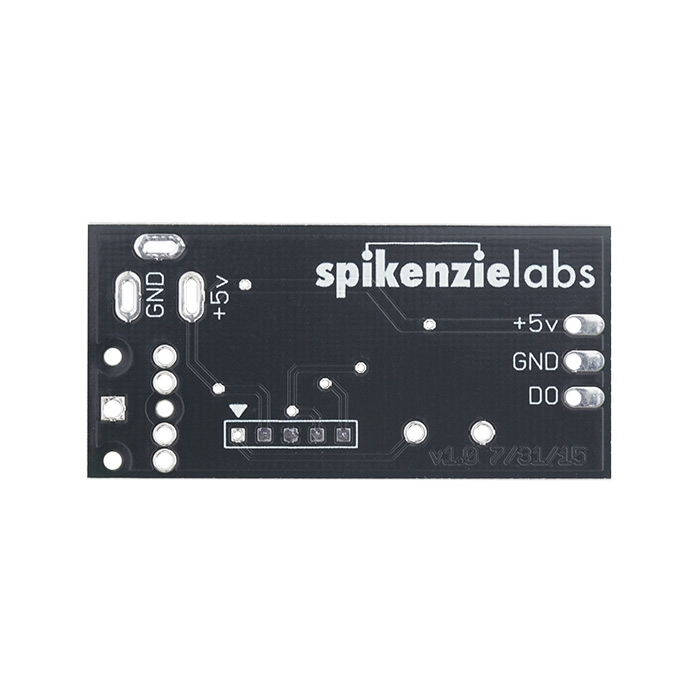 It is an easy kit to assemble with only four parts to solder on. Bundled with a 16 LED strip with wires attached, audio cables, audio splitter and AC adapter. 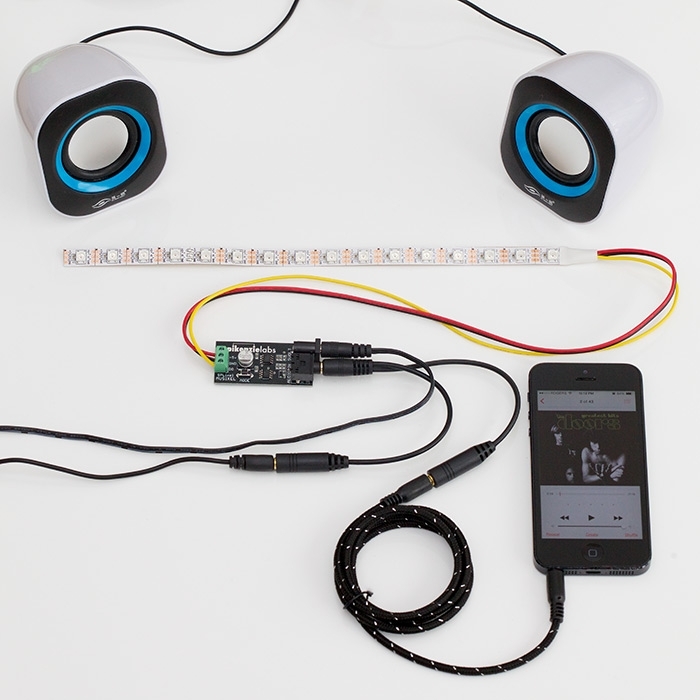 You provide the music and headphones or powered speakers.